Why should YOU come to Lawton this summer? Seasoned , fun, passionate staff! Every Scout dreams of fun and adventure at summer camp. Since 1921 Camp Lawton has been bringing these dreams to life. The mighty views of Tucson provide the dramatic backdrop for this full service camp. The camp includes a trading post, a .22 rifle range (where we use air rifles per Forest Service Regulations), an archery range, photography, scoutcraft, handicraft and an ecology study center. Far more important to a Scout than these wonderful facilities are the outstanding young men and women of the Lawton staff. The staff is the kind of older Scout that each camper will look up to and want to be like. They are trained at National Camp School to make every Scout feel special and give them a great camping experience. 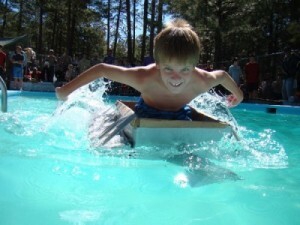 First year campers can earn the Swimming merit badge. Second year Campers can earn the Life Saving Merit Badge. Scouts that have already earned these merit badges are encouraged to earn the BSA Lifeguard Certification. Join our National Camp School Trained Shooting Sports staff at Camp Lawton. Come pull the trigger and learn how to shoot while earning the Rifle Shooting merit badge. If you are not a sharp shooter, try your steady hand at the Archery merit badge. Find out how to make an arrow and hit a bulls eye. 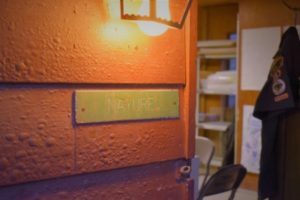 If nature is calling you, stop by the Ecology center. We offer merit badges such as: Soil and Water Conservation, Environmental Science, Nature, Astronomy, Plant Science, Mammal Study and many more! 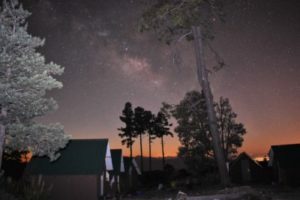 Mount Lemmon offers the best views of the sky above art show of shooting stars nightly. Do not get a neck cramp by only looking up; check below your feet for tracks of turkeys, skunks, and deer. Come take the nature walk to complete your Second Class requirement or just for fun. Do not miss out being 8,000 feet in the air with us. This area offers the Pioneering, Search and Rescue, Wilderness Survival, Camping, Geocaching, Archaeology and First Aid merit badges. Our multiple camp orienteering “night-eye” courses are also based out of this area. 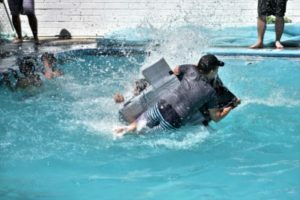 The First Year Camper (FYC) program is for young Scouts who may be attending summer camp for the very first time or need help in working on Tenderfoot, Second Class or First Class Advancement. 1. To provide a well-organized program based upon the patrol method and lead by qualified instructors. 2. To teach participants basic skills necessary to succeed in Scouting and to enjoy outdoor programs. 3. To instill in the youth a respect for Scouting’s methods and ideals. 4. To maintain a ratio that is comparable to an average patrol: eight-ten youth for every patrol guide/instructor. 5. To provide an exciting and memorable summer camp experience that motivates youth to be active in their troops and continue in Scouting. While in the first year program Scouts will cover a vast majority of the basic rank advancement requirements (except for troop participation requirements, Scoutmaster Conferences & Boards of Review). STEM focuses on merit badges such as Chess, Digital Technology, Robotics, Movie Making, Animation, Programming, Game Design and Radio. All the technology will be provided at little to no cost to the participants. Once Scouts reach the rank of First Class, their climb to Eagle begins in earnest. Our Eagle Quest area is there to help them on their way by providing them guidance toward their Eagle rank as well as earning Citizenship in the Nation, Citizenship in the World, Citizenship in the Community, Personal Fitness and the Communications Merit Badges. For artistic and relaxation pursuits, Scouts may spend their time in the Handicraft area to learn skills such as Art, Basketry, Wood Carving and Leatherwork merit badges. Provisional Scouts – Some Scouts cannot attend with their unit due to scheduling conflicts or wish to remain for an extra week. 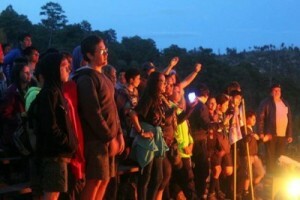 Any Scout can attend camp individually by being included with another troop. Coordination for this must be made through the Council Office prior to paying fees. There is no specific week for this attendance. The fee for a provisional Scout is $350.00. All fees are refundable/transferable with-in the current reservation until the April 20th payment deadline of the year your unit attends camp. Payment for camp is $325 per Scout (in council) and $90 per adult if paid in full by April 19, 2019. Payment for camp is $345 per Scout (in council) and $90 per adult if paid after April 20, 2019. All Payments must be settled before units can check into camp. Why Should I Apply For Camp Staff? SUMMER CAMP STAFF…A JOB WITH CHARACTER! Looking to Apply? Please Click Here!